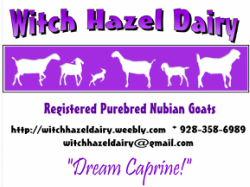 Welcome to Witch Hazel Dairy! This is Hazel. 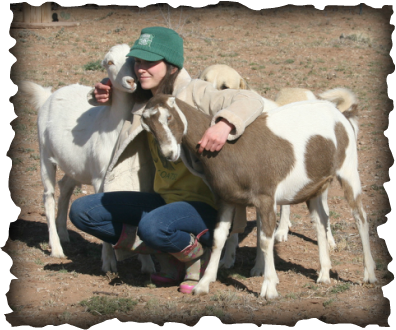 I was twelve when I first got into goats and 4-H has helped me keep the love. 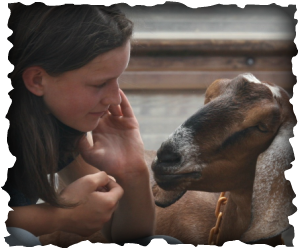 I have wonderful, long-suffering parents, and great, loving goats. 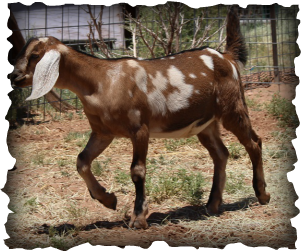 I live in Snowflake, AZ or Northeastern Arizona and sell purebred Nubian kids can be registered, shown, used for milk for drinking or for soap making. 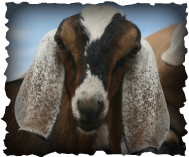 Our goats are tested free of CL, CAE, G-6-S normal and live a healthy, happy life. 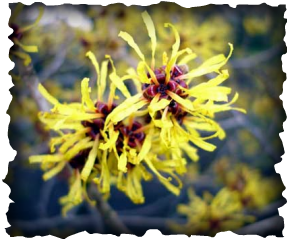 :) They are from Black Mesa, M's Sagebrush, Goldthwaithe, Jacob's Pride and Crow's Dairy lineage, all good, respectable lines! The kids we sell are all registrable with ADGA and will be tattooed and disbudded, Check out our breeding page for the upcoming year! Tabs on the LEFT side will orient you to the pages of this site. Welcome! 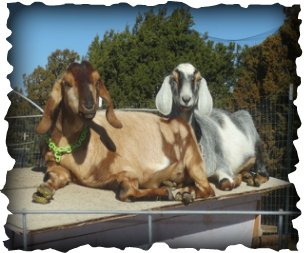 Our Nubians are CL and CAE free plus, G-6-S Normal! Check out the For Sale Page to learn more!